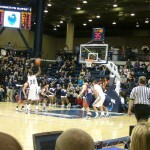 Last night in a Northeast Conference versus Ivy League competition the Monmouth University Hawks defeated the University of Pennsylvania in men’s basketball by a score of 80 – 75. 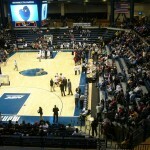 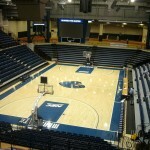 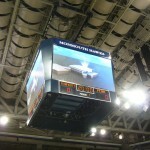 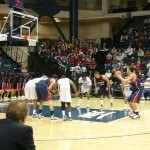 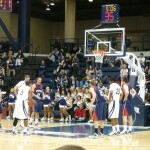 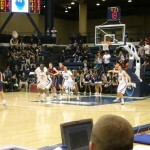 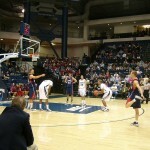 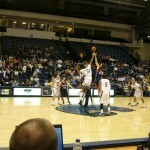 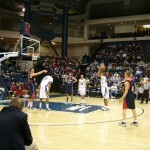 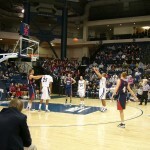 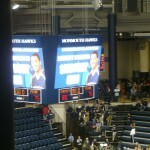 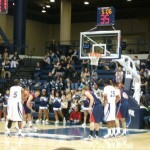 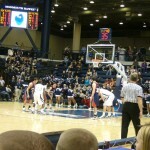 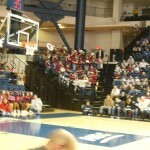 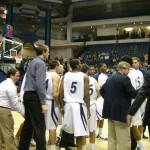 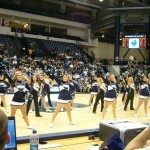 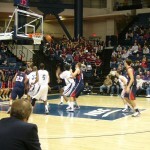 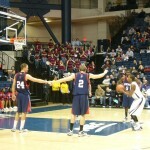 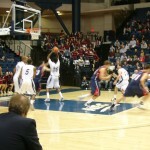 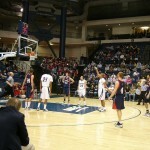 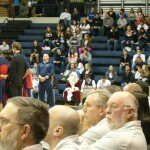 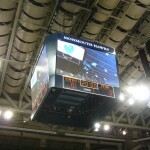 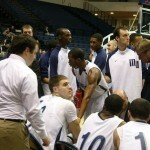 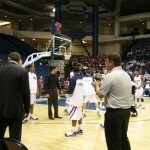 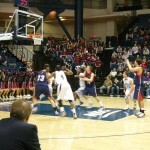 The game took place in West Long Branch at Monmouth’s MAC Center in front of a reported attendance of 1,445. 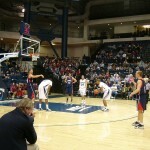 And hey, this was the first time that UPenn ever lost to an NEC team and the first time that the Hawks ever beat the Quakers. 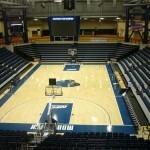 Pretty exciting for Hawk fans, huh? 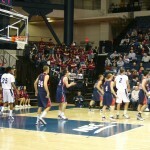 Below is a quick report from the AP on the game as well as almost 50 pictures from the game and some of my thoughts. 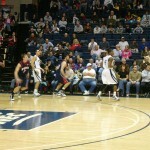 WEST LONG BRANCH, N.J. – Travis Taylor scored 28 points and Monmouth (N.J.) earned an 80-75 victory over Penn on Saturday night. 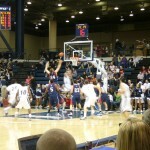 Taylor shot 12-for-14 for the Hawks (3-7), who snapped a four-game losing streak. 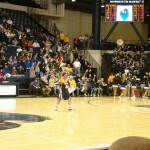 Whitney Coleman contributed 20 points and eight assists. 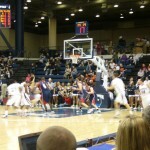 A jumper by Taylor early in the second half gave the Hawks a 58-48 lead with 13:35 remaining, but Penn went on an 11-2 run to cut the lead to 60-59 with 10:53 left. 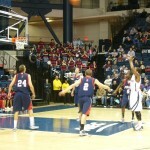 The Quakers (0-7) would later tie the score at 73 with two free throws from Zach Rosen with 2:13 left on the clock. 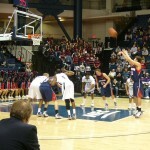 But Penn was unable to take the lead, as they Quakers were outscored 7-2 in the final 2 minutes. 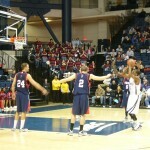 Rosen led Penn with 23 points. 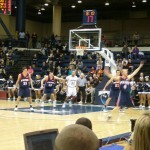 He shot 7-for-12 from the field, and nailed five 3-pointers. 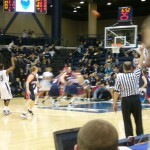 Mike Howlett chipped in with 16 points and 10 rebounds. 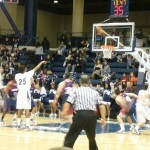 Monmouth shot 52 percent from the field (26-for-50). 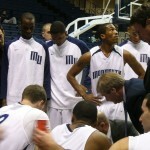 I’m always impressed by Whitney Coleman, Will Campbell, and Travis Taylor when I watch the Hawks play. 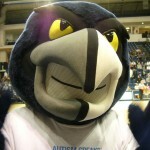 The Hawks are really a great team whose abilities are better than their 3 and 7 record. 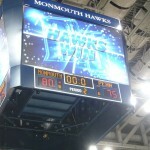 But I think that once conference competition begins the Hawks will prove just how talented they are in the NEC. 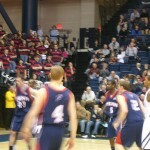 Overall, the Hawks played well, but the Quakers weren’t so terrible and are probably a better team than their 0 and 7 record. 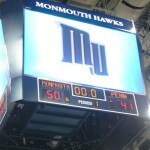 This was the type of game that either team could have won, but it’s worth mentioning that this is also the type of game that was Monmouth’s to lose. 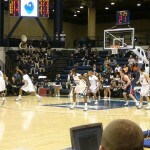 For a while in the beginning of the second half it seemed like the Hawks were going to let their lead slip away, but the defense came alive and Monmouth maintained their lead in the final minutes. 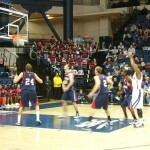 Of course, UPenn did come back to tie it up late in the game, but the Hawks succeeded in the end. 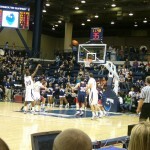 And now… Almost 50 pictures from last night’s game for you to enjoy!